You know you’re onto the truth when even the opposition pundits agree with you. The mainstream media is so in love with the Democratic Progressive movement they won’t tell the public the truth about Medicare for All. But less biased liberal journalists are now speaking out. Galston, unlike most mainstream media journalists and progressives, has done his homework. He looked beyond the polls used by Medicare for All supporters, that claim up to 70% approval, to the details that show support for this socialized medicine proposal drops precipitously when people understand what it really means. For instance, a recent Kaiser Family Foundation poll of voters of both parties reported 56% approval of Medicare for All, but support dropped to only 37% when people were told it would mean elimination of private health insurance. Early Democratic presidential candidates Kamala Harris, Elizabeth Warren, Corey Booker, and Kirsten Gillibrand all declared support for Medicare for All. But recent candidates Amy Klobuchar and Sherrod Brown have declined to endorse the plan and others considering running, like John Hickenlooper and Michael Bennet have also expressed concerns. Galston says the dilemma for Democratic candidates is that polls of only Democratic voters show they still favor Medicare for All when they are told it will eliminate private health insurance. They even continue their support when told it will “require most Americans to pay more in taxes.” Yet the electorate as a whole will not support these ideas. Since Galston’s column was published, Senator Bernie Sanders, the avowed socialist and author of Medicare for All, has announced his presidential candidacy. His entrance into the race will put even more pressure on other candidates to declare their support for Medicare for All. This is exactly what Galston fears. He recommends Democrats focus on improving and protecting ObamaCare rather than promoting Medicare for All. He suggests an alternative plan might be “Medicare Open to All”, which would enable everyone to buy into Medicare if they choose, but keep their private health insurance if they prefer. There is polling that seems to support this idea. The rub for Progressives is opposing the elimination of private health insurance and higher taxes. Their ideology always favors more government control and more taxes to support that government. They’ll have to admit this approach isn’t the best if they want to win wider support in the general election. That may be “a bridge too far” for them to accept. B.A., University of Colorado, 1973; M.D., Medical College of Pennsylvania, 1979; Fellow - American Academy of Orthopedic Surgeons, 1986 - present; Diplomate - American Board of Orthopedic Surgery, 1986, 1994, 2006. Dr. Roberts has been in active, private practice since 1984 and has served as Chief of the Department of Orthopedics and Chief of the Medical Staff of Princeton Hospital, Orlando. He later served as President of the Governing Board of the hospital. 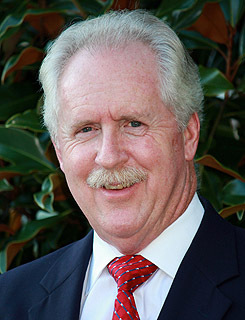 He has also served on numerous non-profit boards and currently advises businesses on healthcare reform related issues. 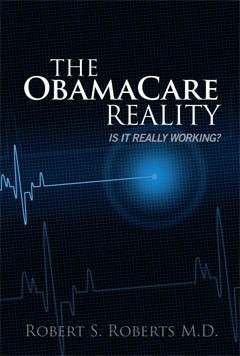 The ObamaCare Reality reviews the actual impact after passage of the law, the broken promises made, and discusses the problems we are currently experiencing. 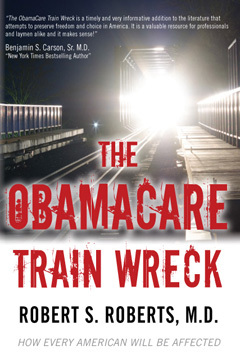 The ObamaCare Train Wreck reviews the history of healthcare reform, the passage of ObamaCare and anticipated impact on the country. Technology to Keep Your Heroin Safe? Obesity – A Threat to National Security? Does Sleep Posture Cause Rotator Cuff Problems?